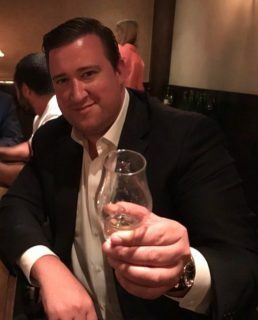 The Craft Spirits Cooperative has announced the hiring of Alessandro Bermudez as Vice President, effective immediately. Bermudez joins the Cooperative from Young’s Market Company, where he worked for thirteen years, most recently serving as Director of Sales for the Craft & Luxury Division. Since launching in 2013, The Craft Spirits Cooperative has evolved from strictly a shared supplier side sales team into a full-service hybrid program, pairing sales & brand building efforts with import & distribution. A leading boutique distributor in California and on its way to becoming the premier route to market for craft spirits brands in the United States, the Cooperative has represented brands such as Santa Teresa Rum and Wyoming Whiskey, incubating them in the California market until they were able to reach major supplier agreements with Bacardi in 2017 and The Edrington Group earlier this month, respectively. “The Cooperative’s intelligent brand building strategy provided Wyoming Whiskey an effective introduction into the California market. The healthy growth that we have experienced is a result of their commitment to education and depth. We have been well served by their efforts,” said David DeFazio, Founder and COO of Wyoming Whiskey. By building strong, profitable markets for brands, the Cooperative aims to help craft producers choose their own destiny — whether that be an acquisition or maintaining independence to continue growing the brand autonomously as it has done for Capurro Pisco, which has become the market leader in its category in California. Based in California and led by Founding Partners Romina & Peter Scheufele and Partner Kalena Ross, The Craft Spirits Cooperative manages Route to Market Strategy and execution for craft spirits. The Cooperative was built to give authentic producers control and scalability by pairing sales & brand building efforts with import & distribution in one streamlined solution. To learn more, visit www.craftspiritscoop.com.